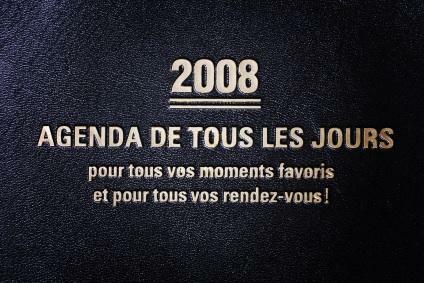 Qu'est-ce que vous avez fait en 2008? When teaching the passé composé in French, you will need to teach your students about three things: when to use the tense, what the helping (auxiliary) verbs are, and what the past participles are. These three elements, when learned fully, result in correct usage of the passé composé. In order to get your students off on the right foot when it comes to understanding and using the passé composé in French, you may want to start with a detailed description and activities that focus on the usage of this tense. Once students have a solid idea about when to use the tense, they will be more likely to learn and remember it correctly. This tense is one of two most commonly used past tenses. The other commonly used past tense is the imparfait. In a narrative situation, such as telling someone a story or telling someone what you did yesterday, last week or last year, you would use these two tenses to tell your story. The passé composé would be used to describe all the things that happened, and the imparfait would be used to describe all of the things that were happening while the events that happened took place. That may sound confusing, but we do it all the time in English: 'I was washing my hair when the phone rang'…or 'I was driving to school when I absentmindedly drove through a red light'. In these examples, the actions of washing your hair or driving to school would be expressed in the French imparfait; 'the phone rang or drove through a red light' would be in the passé composé. Another way to think about it, is that the passé composé is used for things that happened in the past that are one time actions as opposed to things that you did repeatedly. Je me promenais au parc et je suis tombé. J'ai pris mon paraplu parce qu'il pleuvait. Hier j'ai fait un gateau au chocolat et puis j'ai acheté un cadeau avant d'aller au restaurant. Lorsqu'on y mangeait, j'ai donné le cadeau à mon mari. While conjugating the auxiliary verb is easily learned, assigning the correct auxiliary verb (être or avoir) can be tricky. There are mnemonic devices to remember it, such as the MRS DR VANDERTRAMP list of verbs, which all take être, and the remaining verbs take avoir. Another way to learn the distinction is to know that 'être' is used with verbs of motion and verbs expressing a change of state (e.g. 'to die'), as well as reflexive verbs and that 'avoir' is used with all others. Teaching the passé composé in French involves encouraging your students to continue working on learning the correct auxiliary verbs to use with each verb. Finally, to form the passé composé, you'll need to teach your students the past participles of French verbs. Unfortunately, many of the most common French verbs have irregular past participles, so this is a difficult task. Some teachers teach the regular past participles as rules and then give a list of exceptions, and other teachers simply give a lot of examples because teaching the rules too specifically often results in students applying the rules to irregular verbs, which results in incorrect past participles. Another important thing to teach with the past participle is agreement. Verbs with the auxiliary 'être' must agree in person and number with the subject of the verb. Verbs with the auxiliary verb 'avoir' must agree in person and number with the direct object of the verb, but only in cases where the direct object precedes the verb. This all amounts to a significant number of elements to teach, but alternating some explicit instuction with plenty of examples and practice should have your students using the passé composé with reasonable proficiency in just a few weeks' time.